Traveling with your little ones can be very delightful if you don’t have to face the trouble while carrying them. And the only easy way to carry a baby is to use baby stroller. But the problem arises when you have twin babies. How can you carry two babies in a stroller? The answer is to use double seated baby stroller. A perfect stroller which can carry two babies at the same time. Such kind of stroller is Contours Options Elite Tandem Double Stroller. It is a very well manufactured stroller for your baby which has multiple features. Why Contours Options Elite Tandem Double Stroller is preferable? Strollers are made in such a way so that both parents and babies can travel comfortably. For the parents ease of use is very important and for babies, comfort. But it is very difficult to find proper stroller which contains both of these. Also most of the strollers are not very good in build quality. They lack features and usability. 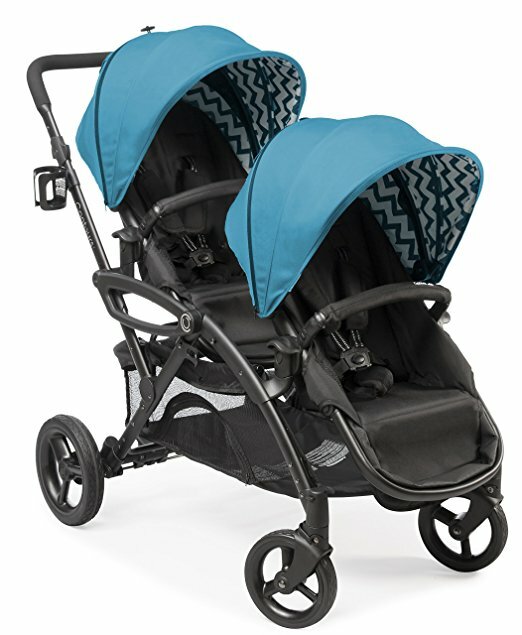 Luckily Contours Options Elite Tandem Double Stroller has both of these features. This product is also good because: If you want to buy a perfect stroller for your baby. Versatile design: The stroller is a very good piece of design. The design not only makes the stroller to look beautiful but also it makes the stroller structurally strong. The seats are also pun in such a way so that baby setting in the rear seat also gets to see straight without any problem. There are also shades for the babies which protects them from UV lights. Ease of use: The stroller is very parent friendly. Parents can adjust the handle according to their need. It has a very easy breaking system. The wheel of the stroller is rubber coated which ensures smooth ride for the babies. This is a 4 wheel stroller, so steering the stroller is very easy. There is also a basket under the stroller for carrying goods. The basket is big enough to carry goods for two babies. Build quality: the build quality of the stroller is very good. The stroller uses nontoxic plastic and high quality steel. The cloth and foam is also babied friendly. It does not smell so that the babies will not face any problem. The stroller is very durable. It ensures many years of service. Stroller is made to last long. 7 seating options: the stroller is designed to keep both of the babies happy. The seats of the stroller can be customized in 7 different ways. Reversible seat, back to back, face to face seating configuration is available in this stroller. The seats are also very easy to attach. Wheel suspension: the stroller ensures a safe and butter smooth ride for the babies because it has a wheel suspension system. The wheels of the stroller have spring suspension which protects the babies from road bump. The wheels are rubber coated. Dynamic suspension and rubber coated wheel gives the baby a very smooth ride. Accommodate 2 infant car seats: the stroller can accommodate up to 2 car seats. It has click-in adapter system. Universal car seat adapter is also available for this stroller. Foldable stroller: it is also foldable. It can be folded very easily by removing the seat and making it a very small unit to save space. It also fits any vehicle because it can fold into a very small size. Adjustable handle: handle of the stroller is adjustable. The handle has different height option available for the ease of use of the parents. The handle is also very well designed so that parents can comfortably hold the handle. Finally, this stroller is preferable because of its unique design, wheel suspension system. Best materials and durable build quality also makes the stroller best in value. The stroller is perfect for carrying two babies as it has all the features they need to have. It is no doubt the best stroller in the market.